With a stay at Ca` del Moro in Venice, you`ll be next to a golf course, within a 10-minute drive of Lido of Venice and Venice Convention Center. This golf property is 12.2 mi (19.7 km) from Grand Canal and 12.4 mi (19.9 km) from St. Mark`s Square. 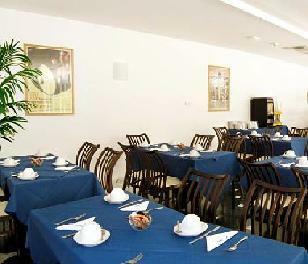 You can enjoy a meal at the restaurant serving the guests of Ca` del Moro, or stop in at the snack bar/deli. Unwind at the end of the day with a drink at the bar/lounge or the poolside bar. Buffet breakfasts are available daily from 7:30 AM to 10:30 AM for a fee. A tax is imposed by the city: EUR 1.60 per person, per night for adults; EUR 0.80 per night for guests aged 11-16 years old.